In Crazy · Funny · Interesting · Ouch!!! A woman ran over an innerspring mattress on the highway, and decided not to worry — and kept on driving. 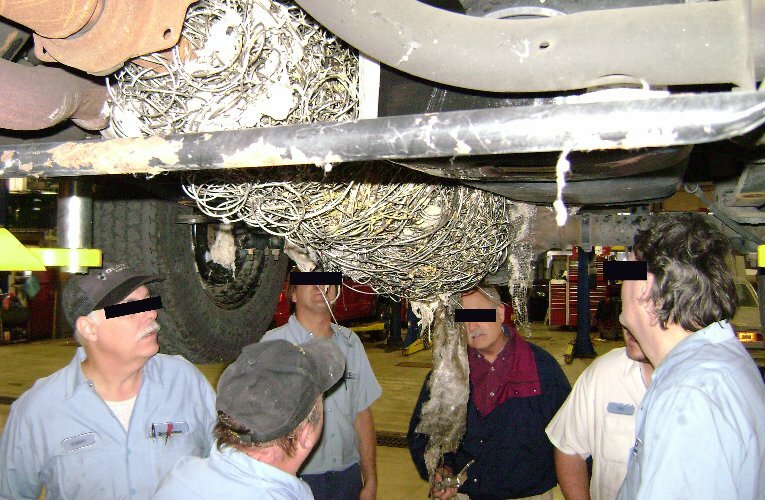 It caught on the undercarriage of her Ford. The ensuing jumble finally whipped around enough to tear a hole in the fuel tank. The subsequent lack of fuel is what finally brought her vehicle to its knees. She had it towed to her Ford dealership, and complained that the vehicle had a ‘sort of a noise’ when she was driving at high speeds. 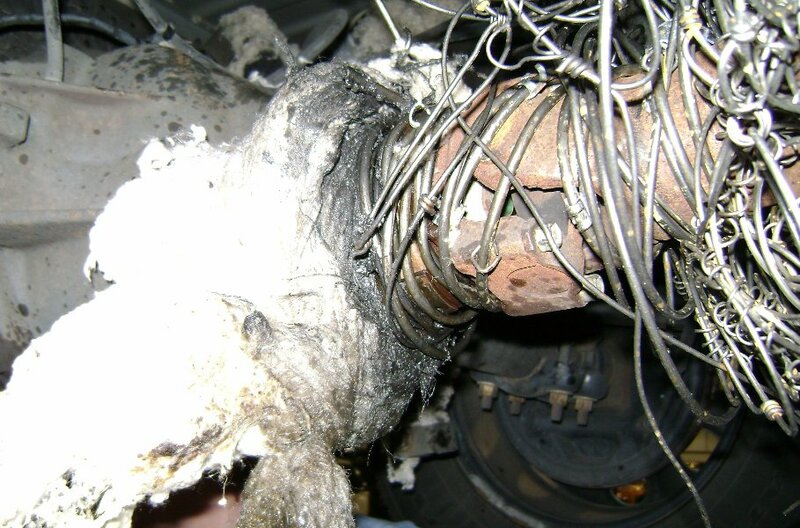 Below are the photos of what they found at her Ford Dealership. “Sort of a noise” — I’ll bet it did! A woman ran over an innerspring mattress on the highway, and decided not to worry -- and kept on driving. It caught on the undercarriage of her Ford. The ensuing jumble finally whipped around enough to tear a hole in the fuel tank. The subsequent lack of fuel is what finally brought her vehicle to its knees. 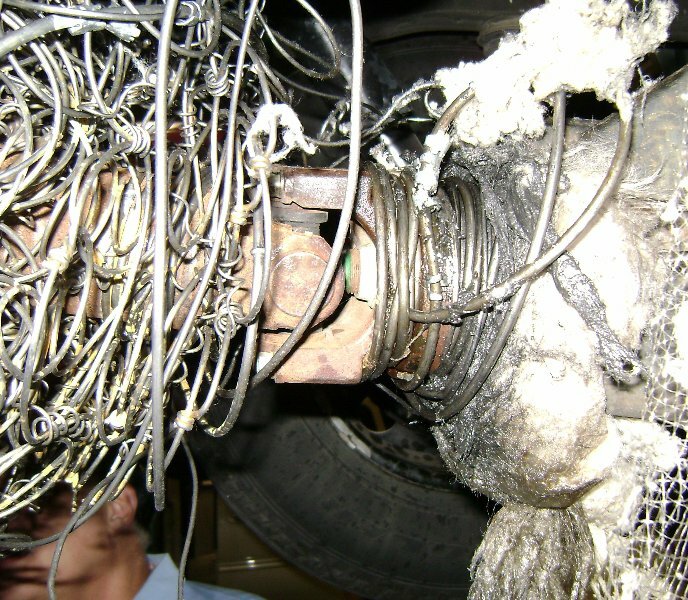 She had managed to drive 30 miles, with a 60 pound tangle of stuff wrapped around her drive shaft. She had it towed to her Ford dealership, and complained that the vehicle had a 'sort of a noise' when she was driving at high speeds. Below are the photos of what they found at her Ford Dealership. "Sort of a noise" -- I'll bet it did!